Hey everyone, With Halloween next week here in the states, just wondering if anyone was planning to carve/paint pumpkins. I was gonna do a Demonic Mechari, but my wife said I needed to reel back the WildStar love for a bit and go with something Classic. Zinn, Bantheera and Kataryna like this. Zinn, Nicodemus, Bantheera and 1 other person like this. Reminds me of the Death Star... I like it! Just needs some Melons to blow up. 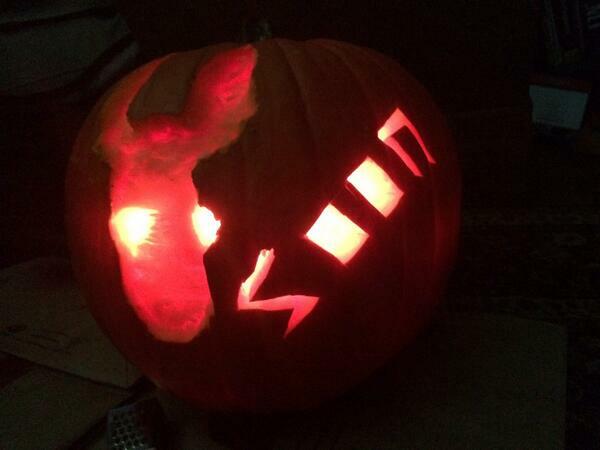 I don't have a pumpkin, but I just had to say that pic's awesome! 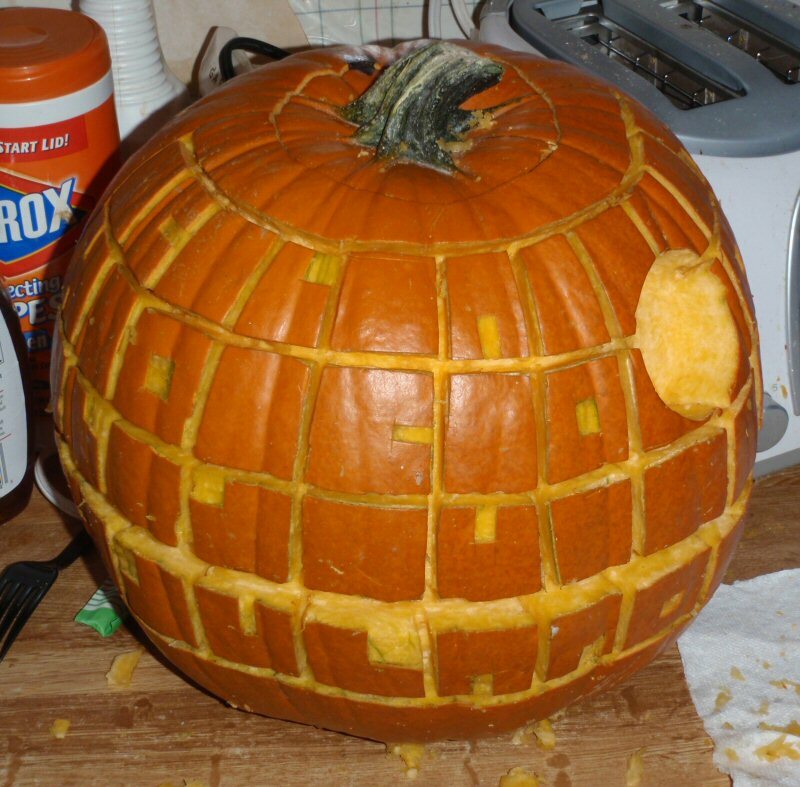 This is how you carve a pumpkin, right? Was that for a sculpture? If so do you have a pic of the finished product? Coolest Santa ever? And no, we just did it as a performance. And it was freaking awesome. That Frankenstein is awesome. For the first time ever, I'm not carving pumpkins. I'm taking a break from Halloween this year and trying to save some money. The reason? I'm tired of living in the neighborhood everyone busses their kids into to trick or treat. If it was only the neighborhood kids I'd have no issue, but when you have adults, not teens, trick or treating without kids, it's too much. Alverad, Dysp and Kataryna like this. Thank you for sharing. 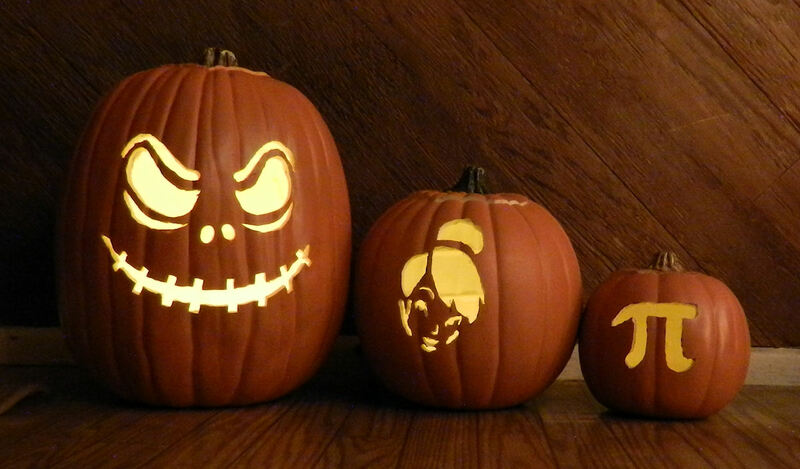 Who is the middle pumpkin a carving of? Tinkerbell, classic, not modern. And the left one is Jack Skelington. Bit of a Disney Theme. The funny thing is...now you said it's Tinkerbell I must say it looks awesome! Well, the first pumpkin I hardly looked at. Saw carved pumpkin, thought "carved pumpkin" and moved on. The last one was obvious, so it was the middle one on which I focused my attention. At first I thought it was Kit Brinny, but the hair looked all wrong. Awesome Jack skeleton, do we know who did this pumpkin of the rowsdower? Didn't see this first do I posted in the art forum. May as well post here too. Great Chua Symbol, nice and clean. Im debating doing a Draken head next year, or maybe a dead Granok head. i so recognized them all! though for Tink i DO have a 5 year old little girl - so i know all things Tinkerbelle! the Pumpkin Pi at the end! also - omg you take awesome photos!! !